Dr. Palsson is a clinical psychologist and health researcher with a long-standing interest in the relationship between mind and body in the determination of health and illness. He is originally from Iceland . He received his doctoral degree in clinical psychology from Eastern Virginia Medical School in 1993, and completed post-doctoral fellowship training in behavioral medicine at UNC-Chapel Hill in 1994-1996. Dr. Palsson then established and directed a behavioral medicine clinic and research program at Eastern Virginia Medical School from 1996-2000, where he was Assistant Professor of Psychiatry and Family Medicine. He returned to the UNC Center for Functional GI & Motility Disorders in 2001 to participate in the Center’s research. Dr. Palsson’s current research interests include investigation of the psychological and physiological aspects of gastrointestinal disorders and symptoms, development of questionnaires to improve GI research, and the use of psychological treatments for IBS and other functional GI disorders. Dr. Palsson is an internationally recognized expert in the use of hypnosis for gastrointestinal disorders. He developed a unique standardized hypnosis treatment protocol for treating irritable bowel syndrome, which has been tested in a number of published studies and is used by hundreds of clinicians throughout the U.S. and several other countries. He has also trained many healthcare professionals across the U.S. in the use of hypnosis for medical problems. Dr. Palsson has a long-standing interest in the use of interactive Internet applications to enhance health research. He has extensive experience in internet software programming. Dr. Palsson has developed innovative methodologies for collecting and processing clinical data in a confidential and secure manner through the Internet, and has played a lead role in several large internet-mediated studies. He also serves as the Director of the Center’s DATA Core, which provides investigators in the Center and collaborators with assistance and support in advanced data collection methods in their research. Another aspect of Dr. Palsson’s work in mind-body medicine is his invention activities in association with the National Aeronautics and Space Administration (NASA). He has collaborated for many years with scientists at the NASA Langley Research Center on inventing and developing innovative technologies to enhance human health and well-being through computer-aided interfacing of human psychology and physiology. He is co-inventor of a patented NASA technology to enhance brain performance by using brainwave biofeedback delivered through videogames that has now entered commercial use by health professionals. A number of Dr. Palsson’s other NASA-related inventions are currently under development or patent-pending. Dr. Palsson has authored more than fifty scientific papers published in medical and psychology journals, as well as one book, numerous book chapters in edited books, and a large number of published research abstracts. 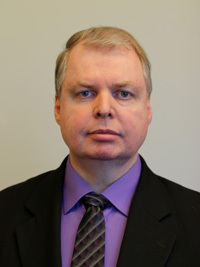 He serves on the editorial board of three scientific journals, and has received several awards for his work, including an award from the American Society of Clinical Hypnosis for “for significant contributions demonstrating the efficacy of hypnotic interventions in psychophysiological disorders” and a runner-up prize with his NASA colleagues in NASA’s 2005 Invention of the Year Awards. Behavioral medicine, the use of clinical hypnosis and other psychological treatments for medical problems, biofeedback, irritable bowel syndrome and other functional gastrointestinal disorders, psychological aspects of physical health problems, development and use of internet applications to facilitate health and well-being and medical and psychological research. 2009: ACG Presidential Poster Award.